When school's out for the summer, it's important for families to select fun, safe, healthy, educational activities for their children. We offer extensive summer learning opportunities for students throughout BPS. Here you'll find resources to help keep your child engaged, active and learning all summer long. What are you doing this summer? Check out Summer Stuff 2019! New this year...one edition for ALL grades. Did you know that students who attend summer learning programs at a high rate can have an advantage going into the next school year? Summer Learning is a priority in Boston! In Summer 2015, Mayor Martin J. Walsh issued a challenge to the City of Boston to offer 100 summer programs to 10,000 kids by Summer 2017. In 2016 we met and exceeded that goal, serving over 11,000 students throughout the city! Read the full article from the Boston Globe here: Boston doubles summer learning programs for children. With the support of the community, BPS continues to develop our efforts to better target students' needs. Our goal is to prevent summer learning loss, help students make academic gains, and develop social-emotional skills during the summer months so they are ready to begin the next grade in the fall. Our Summer Learning program portfolio serves a continuum of grade spans (pre-K through 2nd grade, grades 3-8, students transitioning to 9th grade and grades 9-12). In addition, BPS offers targeted service to special student populations, including students with special needs and English Language Learners. This provides greater opportunities for all students throughout our programs. Schools select students to participate in these programs based on need. 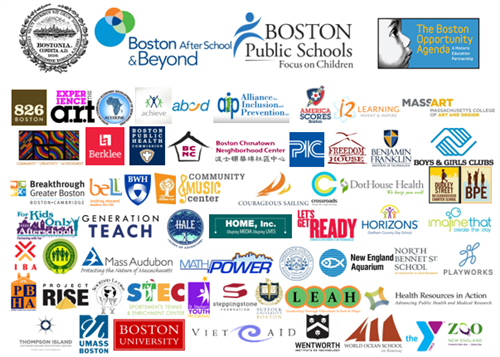 We are proud to partner with a wide variety of community-based organizations across the city to focus on high-quality academic content and enrichment. We are also thankful to our philanthropic partners, The Boston Opportunity Agenda, Wallace Foundation, Cummings Foundation, and others. Don't See What You're Looking For? Contact the Summer Learning Office at 617-635-9414 or email summerlearning@bostonpublicschools.org!